TOPAZ HORIZON: Frances Finds: Basic Invite for fabulous invitations! 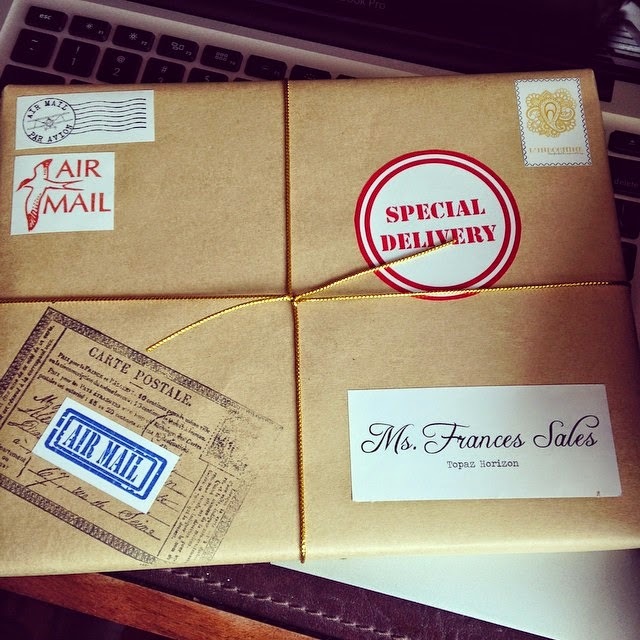 Frances Finds: Basic Invite for fabulous invitations! It's always party season in our side of the world but when the -ber months come rolling around, there's a party almost every other day! Hello, September! And I'm already getting lots of invites to events. Now that my kids are in school, I have a little time now so I'm going to try to attend all (?!) the parties I'm invited to. It's always nice to see old friends and meet new ones! I noticed everyone sends save-the-date notices and invitations through Facebook Events these days, and it may be because I'm from the 20th century but I really seriously frown on that. For really special occasions (like weddings! ), the invitation should be sent over mail or handed over personally. The invitation tells your guests so many things. Aside from the who, what, when and where, it also tells your guests if it's a formal affair or a fun get-together, if they need to dress up or dress down, if it's a social media moment or if it's strictly private. 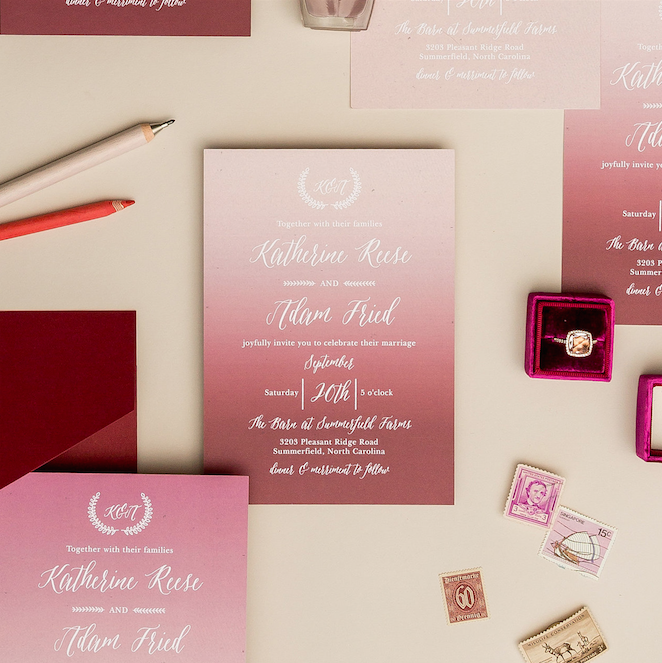 The invitation sets the stage for the event to come and should therefore be thought out and delivered with care. 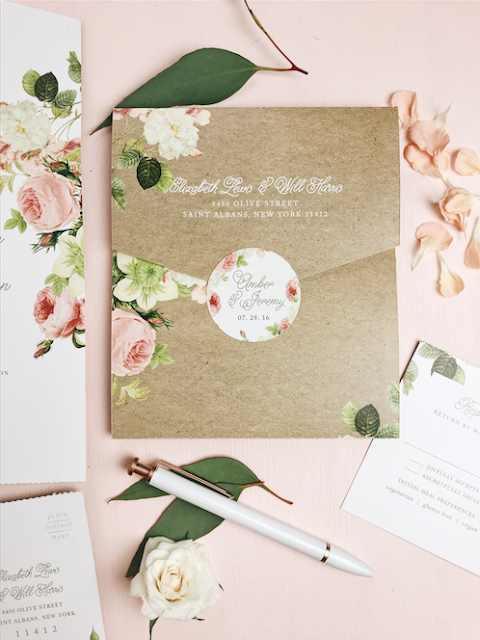 Loving the floral design and matching envelope and seal sticker! Friendly fonts and an ombre background. Simple but stylish! Clear and chic invitations! Imagine it against your photo or the place where you'll get married (ex. beach)! Beyond gorgeous, right? The ones above are all made on Basic Invite (I got them from the site!) and they're just a showcase of how you can design wedding invitations online. If you do it on your own using this fab website, you can really let your personality show. Your colors, your style, instantly! 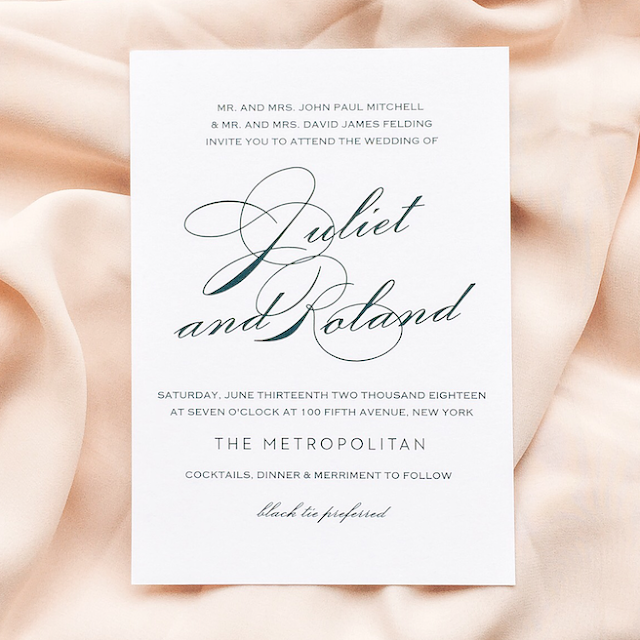 For example, if you have a no-nonsense personality like me, you'd love the stark look and classic design of this invitation. To some it may look boring, but I appreciate the fact that I'm not distracted by so many design details that I lose sight of the important ones. You're bound to find something you love because there are over 800 wedding invitation sets on Basic Invite. 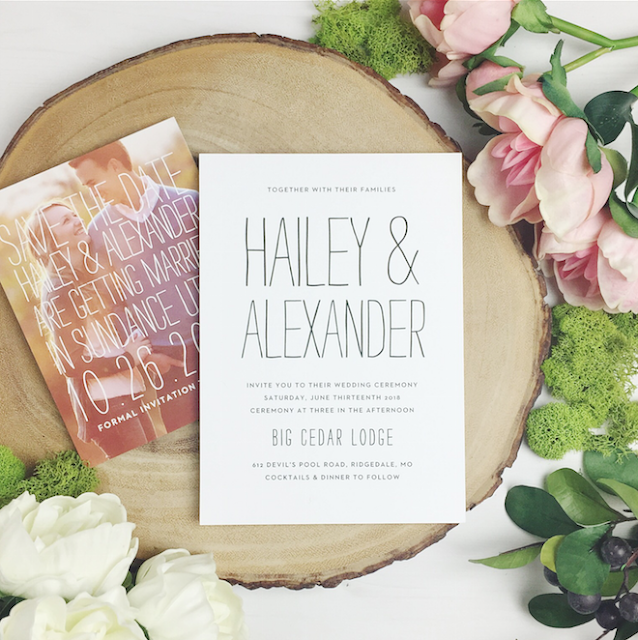 Each set includes "save the date" notices to wedding invitations and enclosure cards, wedding menus, wedding programs, and even matching "thank you" cards! There are also so many kinds and colors of envelopes! And I'm not talking about just colors. 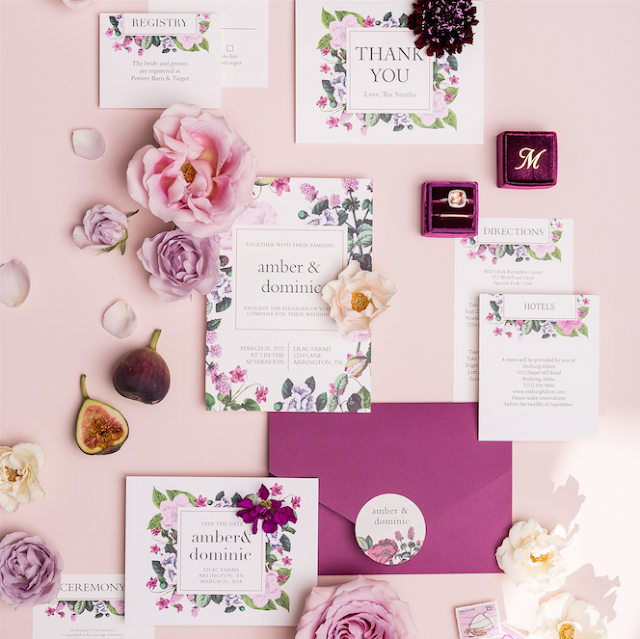 Just look at that envelope above with its matching design of flowers and leaves! I love how Basic Invite understands that when it comes to envelopes, we have to make our invitations stand out even before it is opened. I also like the matching sticker—just peel and seal! 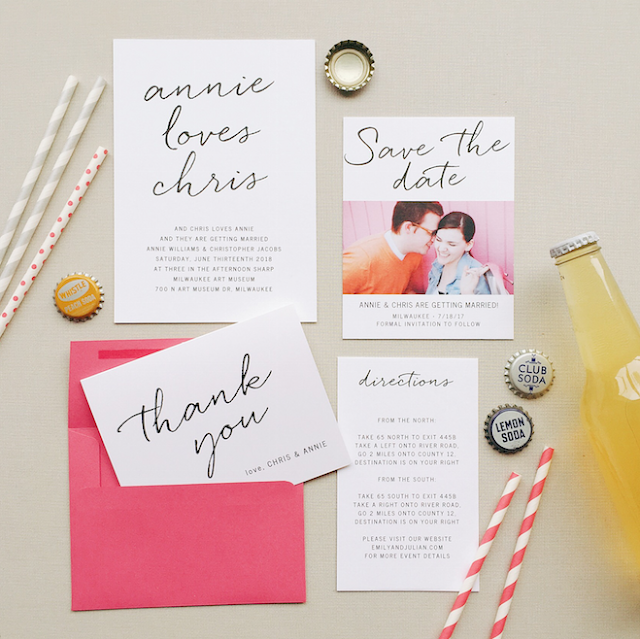 Basic Invite also allows customers to order a printed sample of their actual invitation first. This lets us see exactly how it will print as well as the paper quality before we ever have to place our final order. 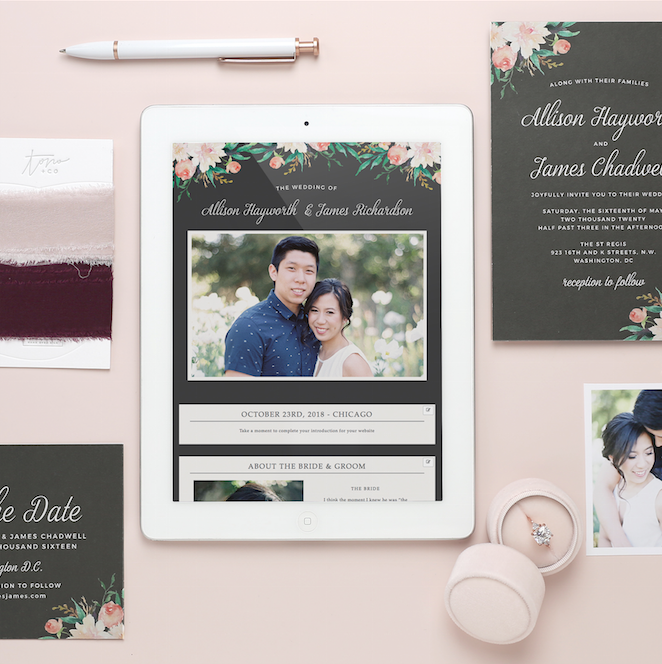 Aaaand if you're setting up your own wedding website, Basic Invite also offers free wedding websites that are completely customizable! These wedding websites are mobile friendly and super easy to use. You can instantly upload everything your guests need to know—all of your wedding details, the best photos of your prenup shoot, your wedding registry, a map to your venue with directions. A website is a great place to collect all the information your guests need so they wouldn't need to ask you and distract you from your wedding planning! Now, I've been married over a decade so I'm not designing a wedding invitation suite anytime soon. I do know that the -ber months is the wedding season so consider this post as a little public service announcement in case you're looking for wedding suppliers or a bit of inspiration. But if you're a mommy like me (and most of my readers are! 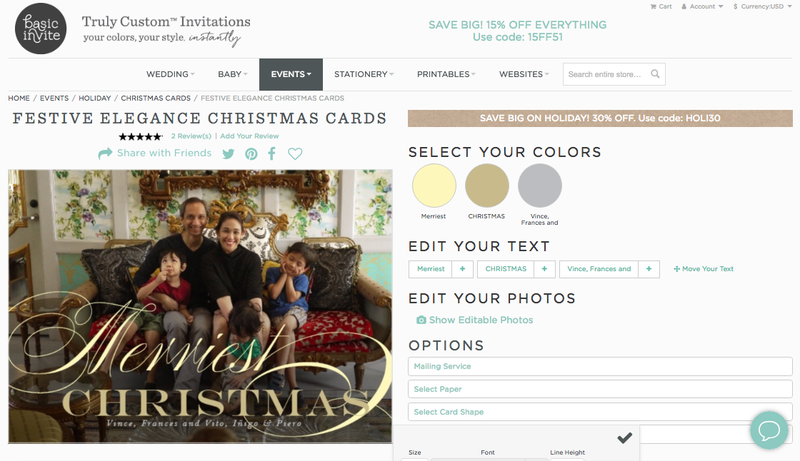 ), then you'll love the greeting cards, event invitations, and stationery available at Basic Invite, too! Just look at my sample holiday card! I love how everything is completely customizable! There are almost unlimited colors and with real names, not font color codes like #FFD700 for Gold. On Basic Invite, there are many kinds of gold and for my card, I chose the gold named Christmas. Of course! Anyway, this is not the final card. I need a better family photo—preferably with all my children smiling at the camera! I suggest if you've just gotten engaged, planning to throw a party, want your own personalized stationery, customize yours today with BasicInvite.com! Use the code 15FF51 at checkout for 15% off! 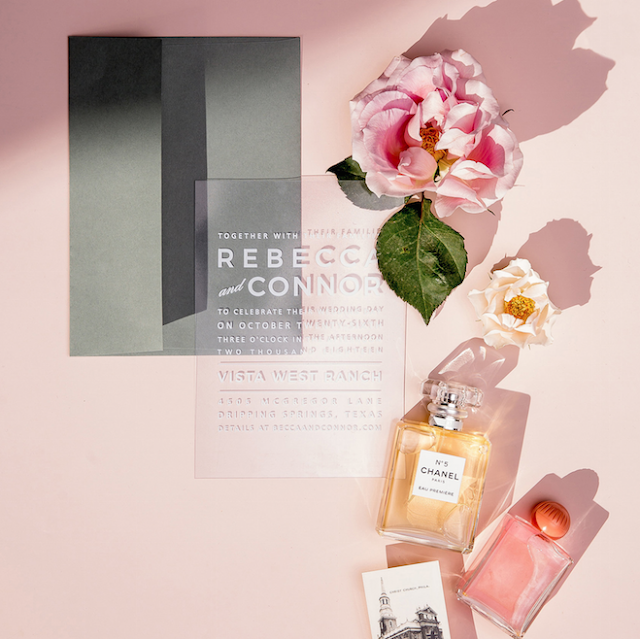 For more inspiration on invitations, cards, and stationery for all occasions, check out @basicinvite on Facebook, Pinterest, Instagram and Twitter. *This post is brought to you by BasicInvite.com.